In the underwater trenches off near the Cook Islands, Tetsuo Onodera (Tsuyoshi Kusanagi) pilots a submersible vessel under leading geoscientist, Yusuke Tadokoro (Etsushi Toyokawa). 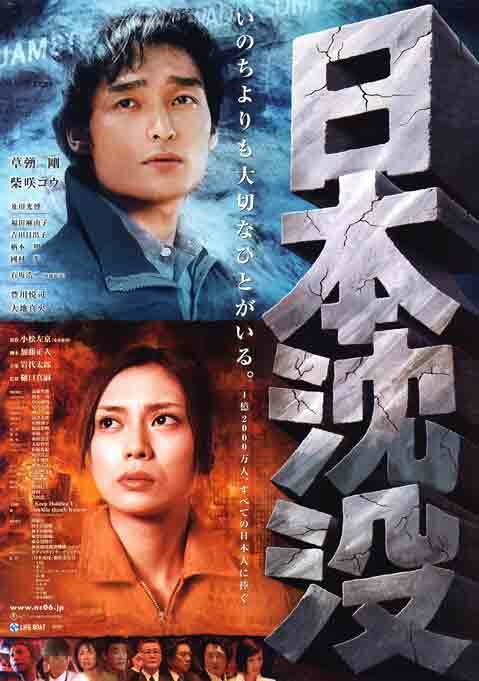 Only days before, Tetsuo had saved the life of a young girl, Misaki, (Mayuko Fukuda) in a massive earthquake thanks to a heroic female rescue worker, Reiko (Ko Shibasaki). A bond begins to form between them. But now Tetsuo’ s boss, Tadokoro, has stumbled upon evidence that Japan’s disintegration will occur much more rapidly − in 338.54 days! The government is alerted, but Tadokoro’s theory is dismissed as alarmist. Tadokoro offers a last ditch plan to save what’s left of the country: to manually perforate the plate that is dragging Japan down by detonating several strategically placed “N2” explosives, and hopefully causing the plate to separate. A multinational fleet arrives to help with the operation, but the loss of a critical detonator deep beneath the sea foils the effort. Meanwhile, a spiritual bond develops between Onodera and Reiko, both of whom feel compelled to look after Misaki. When Onodera is offered safe haven in England as an ocean researcher, he asks Reiko to join him. But Reiko’s dedication to her job compels her to refuse. “I couldn’t live with myself.” Struck by Reiko’ s dedication to human life, Onodera decides to pilot the only vessel that can recover the last critical detonator, though it means he may not come back alive. “There are lives I have to protect,” he tells Tadokoro, “whatever the cost.” Much of the archipelago is already under water. It’s up to one man to salvage what’s left of a nation.